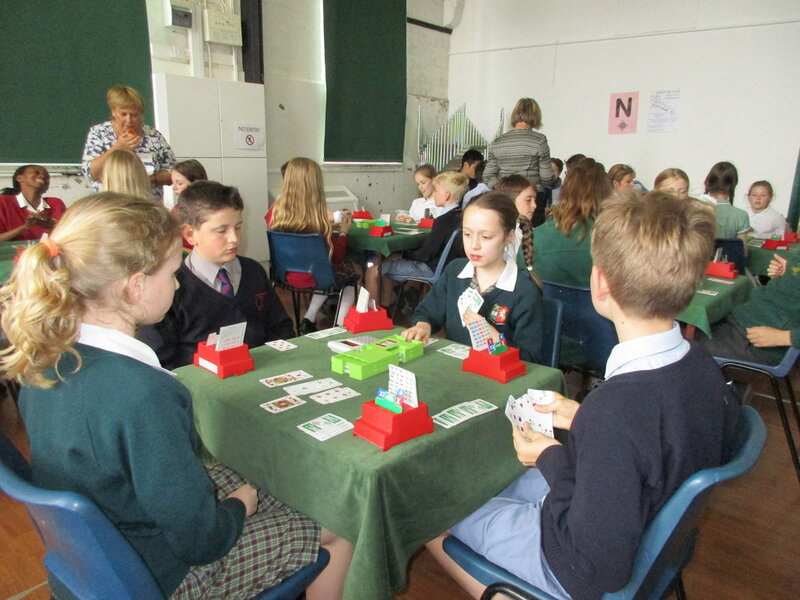 On Friday 19 May, five students from Tonbridge Grammar School from Year 7 and 8 attended the Inaugural Inter-Schools Bridge Tournament at Weald Community Primary School. The traditional image of a bridge game of ladies in twinsets and pearls sitting around the kitchen table could not have been further from the truth. For this inaugural event the emphasis for the young people was on keen strategy, mental stimulation as well as being fun and bringing benefits back into the curriculum. Sofia and Minna won trophies for being Winners of the Secondary School Section and they were also overall winners of the Tournament as well. Prizes were awarded by Helen Erichsen, an English Bridge Champion.